The client: Scott Hadfield is a developer with project management & people skills. 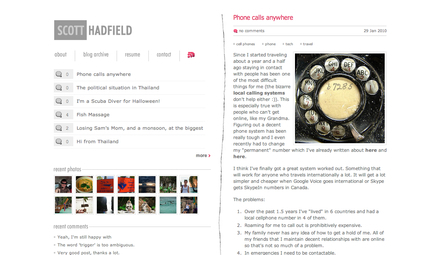 He lives in Vancouver and blogs about Drupal, travel and other miscellany. He is also my fiancé and I couldn't have his website be naked. The project: Scott had had his personal blog for a number of years and never once had a personalized design on it. 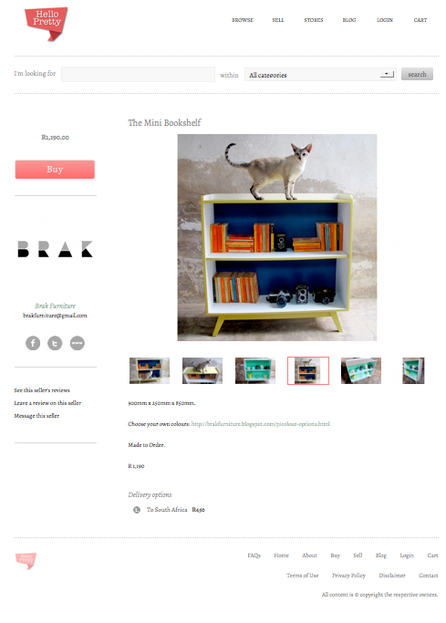 The aim of this project was simply to personalize his blog. 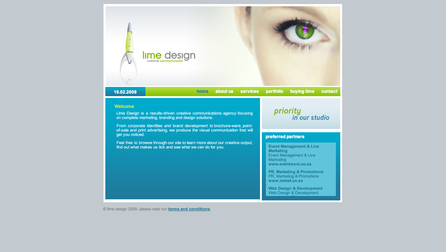 The client: Lime Design is a creative communications agency offering marketing, branding and design solutions. The project: The aim of this project was for the client to be able showcase the work that they do. 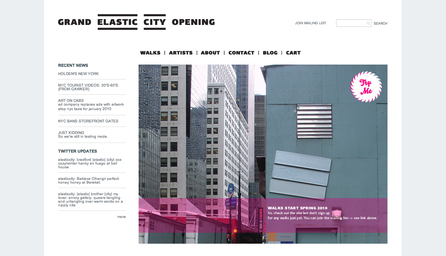 The client provided the design for their site and I implemented it as a Drupal theme. 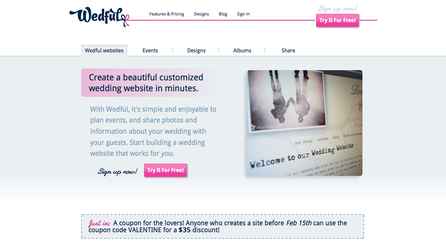 The client: Wedful is mine and Scott Hadfield's own project, so in this project, the client is me! 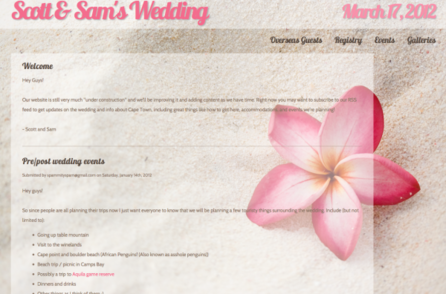 The project: The corporate site was designed by Codename Design for Wedful. My role in this project was to build out the site, and then to implement the design onto it. The client: This organization, SANGONeT, was founded in 1987 before apartheid had officially ended in South Africa. It is a dynamic civil society organisation with a history closely linked to the social and political changes experienced by this country during its transition to democracy. The project: NGO Pulse is SANGONeT’s NGO and development information portal. 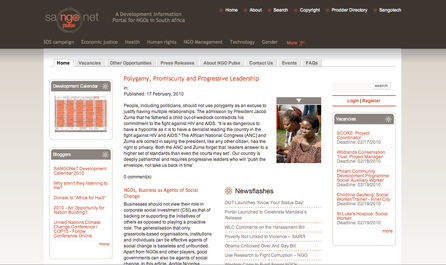 It is a one-stop Internet information resource for and about the NGO sector in South Africa and is a recognised and respected gateway to the development community. The NGO Pulse site is a large and high-traffic website, recently hitting the 1-million unique visitors milestone. The design is by Into the Limelight and my role in the project was to theme the site as per Into the Limelight's design. Development on the site was handled by Park Road. 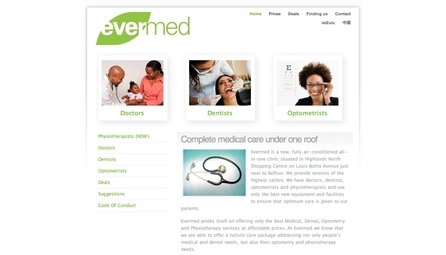 The client: Evermed Clinic is a new clinic opened in Johannesburg, South Africa. Its aim is to offer high-quality medical care that is affordable to low-income families. The project: Evermed required a clean-looking corporate website that lists the services that they offer, and gave directions to their premises. The client: I am the client! This is a website that I built together with Scott and three other friends as our own start-up. 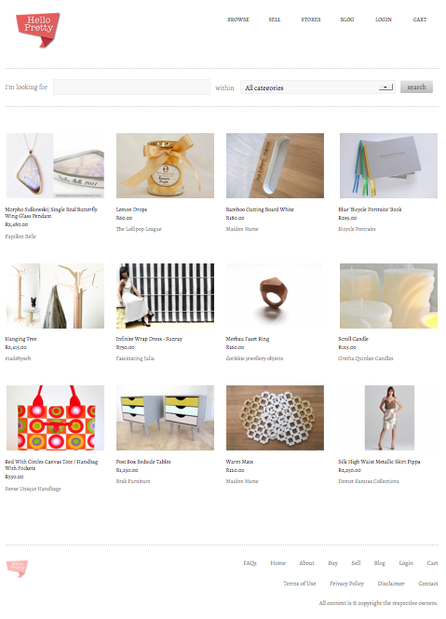 The project: We wanted a very clean and beautiful online marketplace for individual designers and small businesses from South Africa to be able to sell their things online in a centralised spot, and we're the first South African company to build anything like this.. The client: This project is funded by the European Union and run jointly by SANGONeT and Hivos. 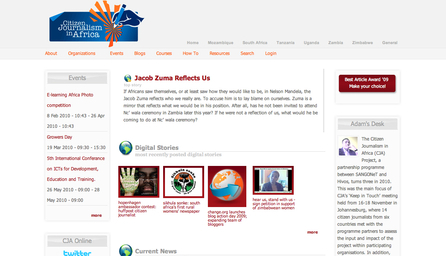 The project: The aim of the CJA project has been to provide both journalism resources as well as broad-spectrum journalism training to six countries in southern Africa. The website provides both a place for the new journalists to publish their work as well as host all the training material for all the courses given. The client: The client for this project is a passionate hobby skier who personally funded the project for himself and the community to make use of. The project: The aim of the project was to produce a rating and reviews website offering similar functionality to Trip Advisor, though aimed very specifically at skiing and other winter sports. 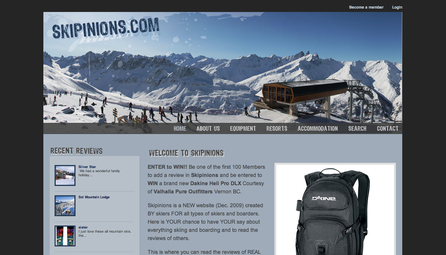 This site allows members of the community to write reviews and to rate equipment, accommodation and resorts. The design was handled by Iridesense.